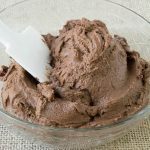 2 Ingredient Sugar Free Dairy Free Chocolate Frosting!! 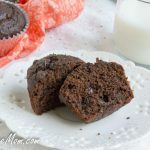 A chocolate frosting that’s sugar free and dairy free and uses just 2 ingredients is a match made in heaven! 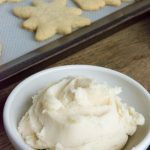 It’s quick and easy using a stand mixer taking just minutes to whip up. It could even be considered a chocolate mousse and eaten in little serving glasses as a dessert! But of course it’s fabulous prepared and spread over a chocolate cake! I like the brand Native Forest for canned coconut milk which I find at Whole Foods. It often has the most amount of coconut cream in the can, about 3/4 of the can will be the cream and the rest will be watery liquid. 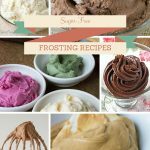 This frosting will go perfectly on my Sugar Free Chocolate Cake Cake! It’s Egg Free, Low Carb, Dairy Free, Gluten Free, and Grain Free too! Scoop only the thick coconut cream from the can. Use the watery liquid from the can for another recipe like a smoothie. Add the coconut cream to a stand mixer and blend until smooth. 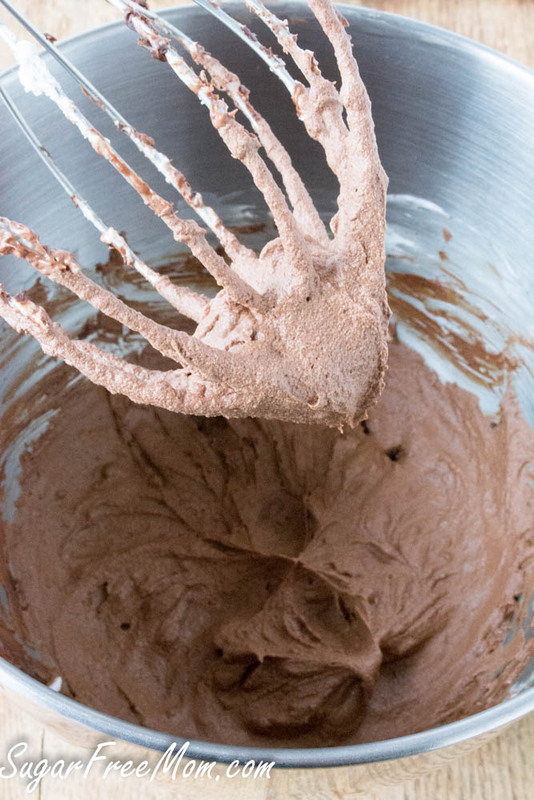 Slowly pour in the melted chocolate chips into the mixer and blend until combined well. Use frosting to decorate a cake or keep refrigerated until ready to decorate. May need to soften in the microwave for 30 seconds if kept refrigerated for a long period of time. 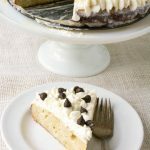 Have you used anything other than the choc chips mixed with the coconut cream? Just trying to kick the carb count down a little more~!! No sorry haven’t tried anything else. I would whip up some heavy whipping cream and add a box of sugar free pudding. That would be a lower carb fix. That may be a lower carb fix, but your have even bigger health risk when using anything that contains ASPARTAME. All sugar free pudding and Jello contain this. 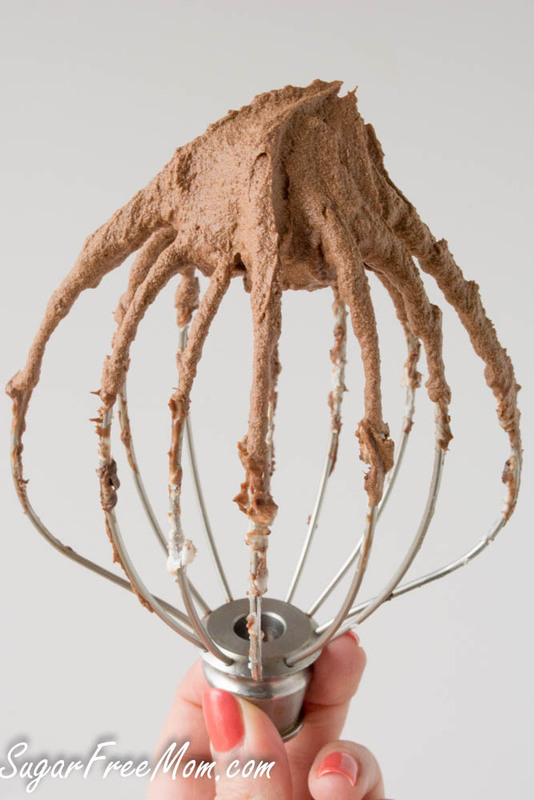 Try heavy whipping cream, Cocoa Powder, and Stevia. Stevia is used 1-1 as a safe and heathy substitute to sugar. Have a Beautiful Day. So, there are ingredients in the chocolate chips, what are they? I’d rather eat organic sugar than sugar substitutes. Ugh.. 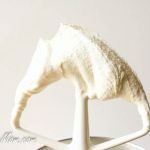 The name of the web site is sugarfreemom.com. 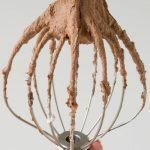 If you’d rather use sugar, maybe you should peruse an organic cooking blog instead of a sugar free blog. Or you could use organic chocolate chips instead of sugar free. Also, Lily’s uses Stevia, not Splenda or some other artificial sweetener. Well, that was a pretty nasty little response to a straight question. I searched for other criteria for a cake, and found this site. I wasn’t specifically looking for sugar-free options, yet I was directed here, and so was Julie, probably. If you can’t answer a question nicely, maybe you should peruse some other message board instead of one where people are supposed to encourage and help each other’s recipes and creative ideas, instead of being a you-know-what. Recipi says Dairy free, but chocolate chips have milk in them. Do you have a brand that doesnt? Yes the brand I used is Lily’s Sweets and is sugar free and dairy free. Where can you purchase Lilys Sweets? I don’t see it at my local store. I’ve only seen them at Whole foods. Yes but they use soy lecithin and I have a soy protein allergy. Any other brands that done use that as well as omitting the other ingredients? Enjoy Life brand are a good one as well. No gluten, dairy, eggs, etc. Hi what is the cake recipe you used with the frosting ? This frosting sounds wonderful! Im hoping to make this for a birday cake today, does the coconut milk need ro be refrigerated? Other recipes ive seen say e cream needs to be refrigerated overnight in order to work. If so can i freeze it? Nothing like last minute recipe hunting! It’s not needed if you buy Taste of Thai or Native Forest, they have plenty of solid cream from the can I’ve noticed. It should keep it’s shape if it’s just an hour before a party, any longer and I would probably refrigerate then take out an hour before party to come to room temp. I’m thrilled with the recipe…sugar free and dairy free reign in our house! Hi, do you need to put the canned coconut in the fridge all night before you use the cream? Some recipes do that, or just open and use? Honestly it depends on the brand you buy. I like Native forest, t3/4 of the can is all cream, about 1/4 is the water so you wouldn’t even need to have it in the fridge overnight, though it does help create more of the cream. I didn’t use any of the water from the can, only the cream, and my frosting is watery. I ran the mixer on high for 3 or 4 minutes. I really think longer time in the mixer would help that, may need over 5 minutes. Would I be better going straight for coconut cream? I don’t think that’s particularly thick here either, but maybe it would work better than liquidy coconut milk? Have you tried opening the can and letting it sit in the fridge overnight? That often will thicken it, may take a few days but it’s an option. If you use coconut cream just check ingredients for sugar. I can’t say I’ve ever tried that but I’ll give it a go, thankyou! Recently found Native Forest Coconut Cream in 5 oz can (same size as a small tomato paste can) totally solid. -restricted guests at my sister’s wedding. It was VERY chocolate-y, so we added half of a vanilla bean (scraped) and it softened the taste nicely. The one sugar-free guest was amazed at the taste & texture of the sugar free frosting, so I gave her the name of your website! 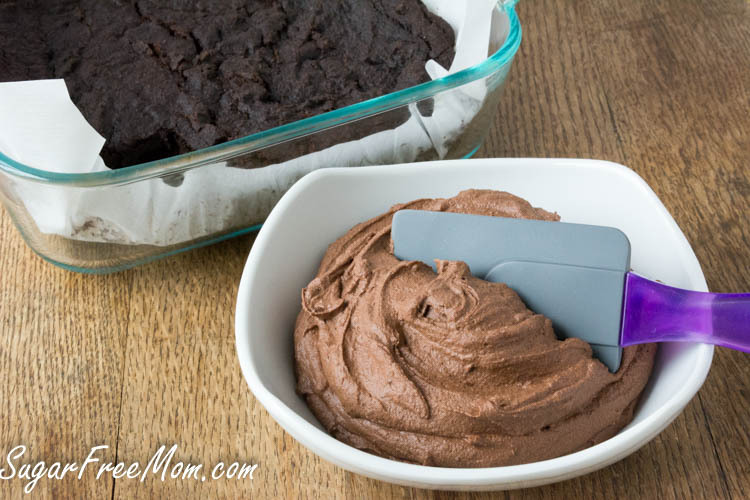 Non-dairy chocolate ganache–I like it! This icing stayed watery. Never thickened. Too bad. It looked perfect to give my Dad. Which brand of canned coconut did you use? Did you use the whole can or just the cream part on top? I like the brand Nature Forest which is more than half of the can when opened is “cream” and not watery.